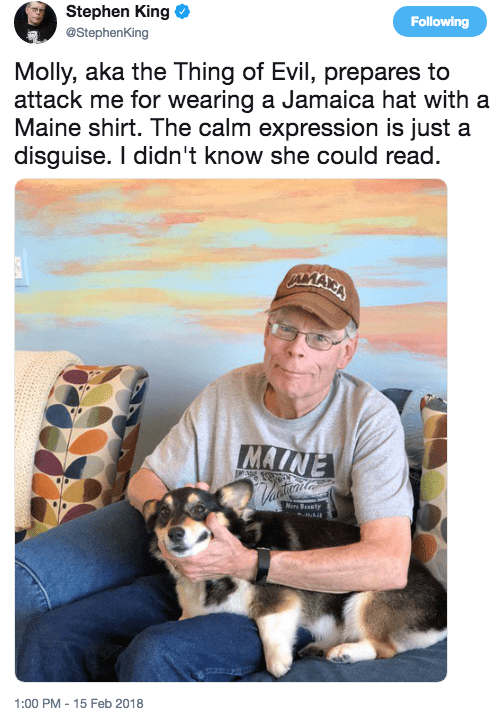 Stephen King is the undisputed kind of horror. 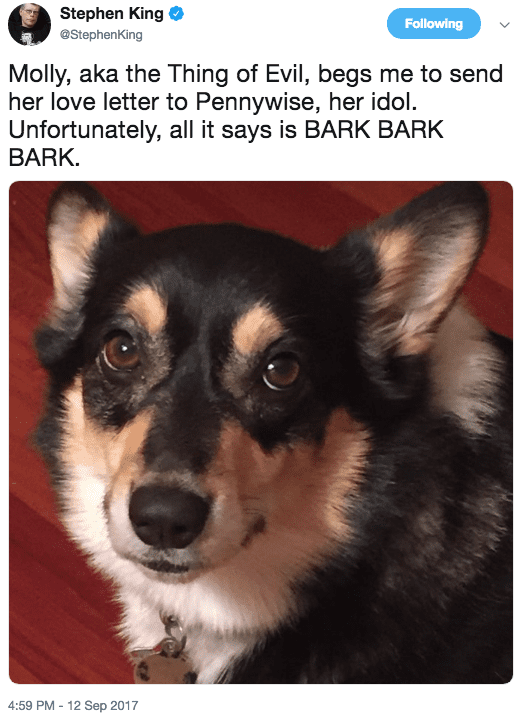 From the absolutely terrifying Pennywise the Clown in It to pretty much all of The Shining, his characters tend to stay with you well after you’ve already closed the book. 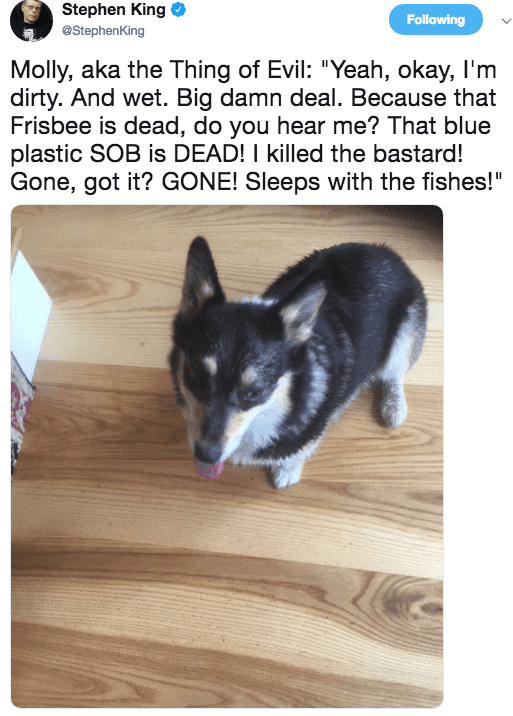 In fact, when I was a kid, my mom just gave ne a verbal summary of the plot of It, and it scared me so much I was afraid of going near gutters for months! 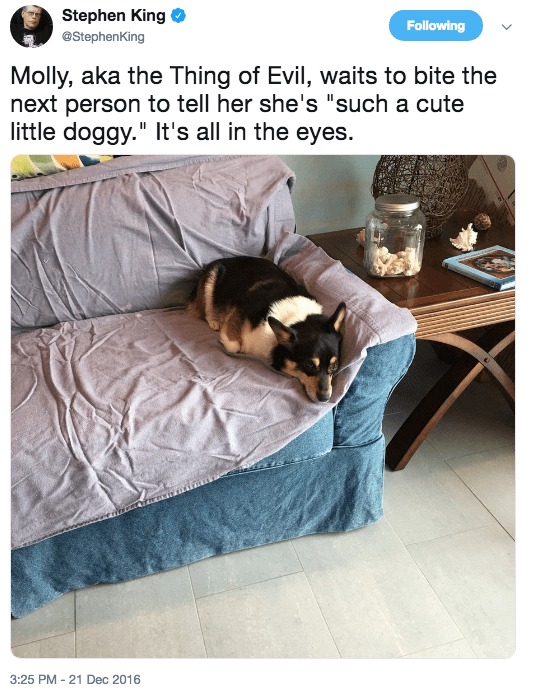 Knowing that he’s the master of all things scary, we wondered, “What terrifies Stephen King?” The answer? 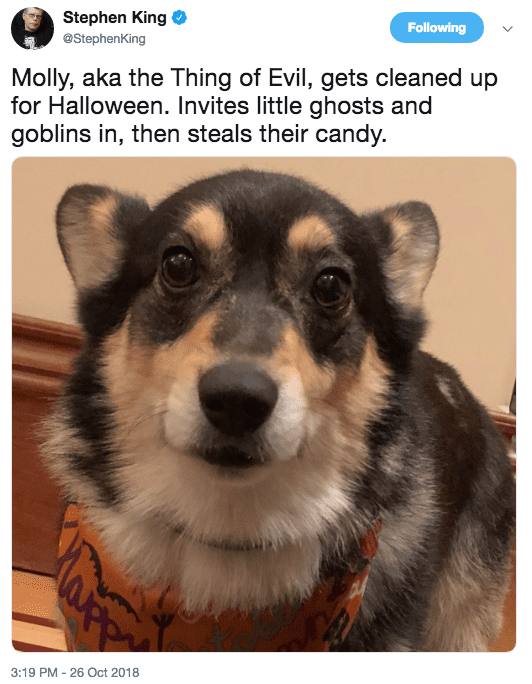 His adorable corgi, Molly. 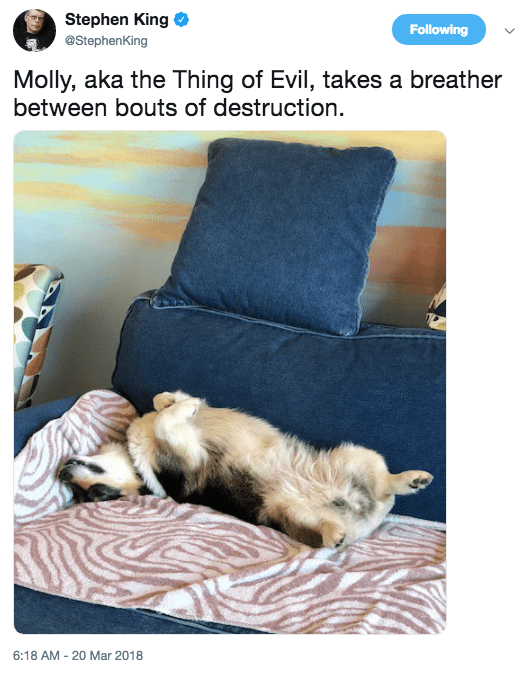 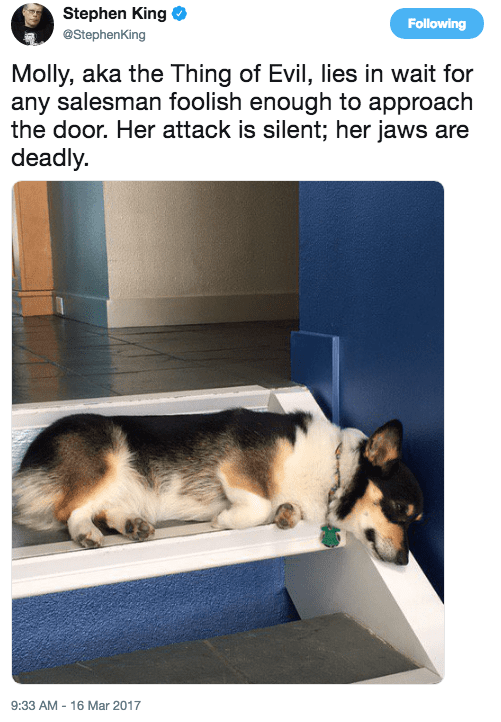 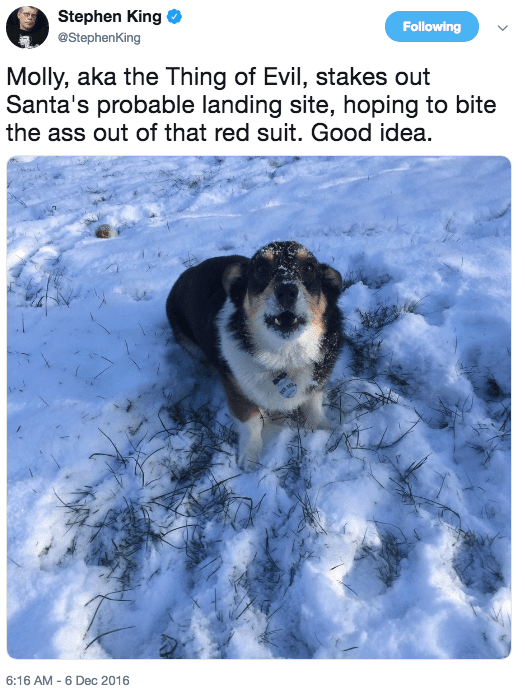 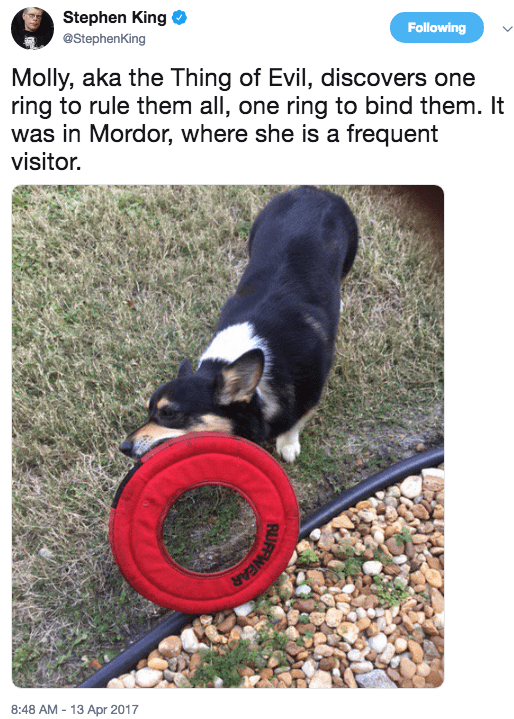 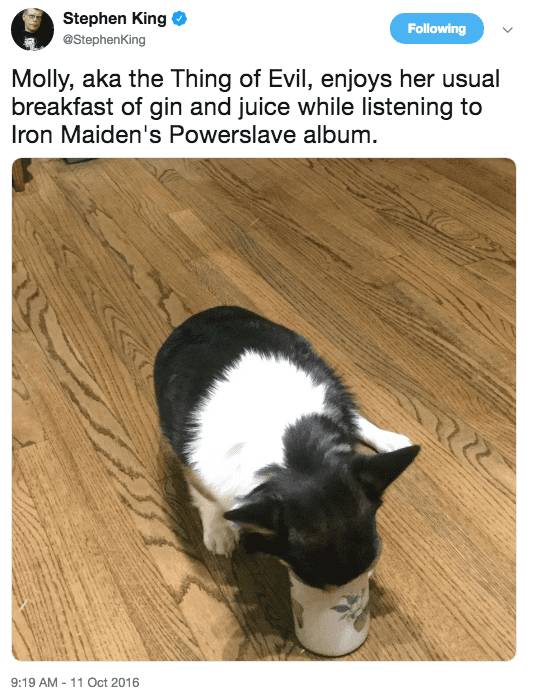 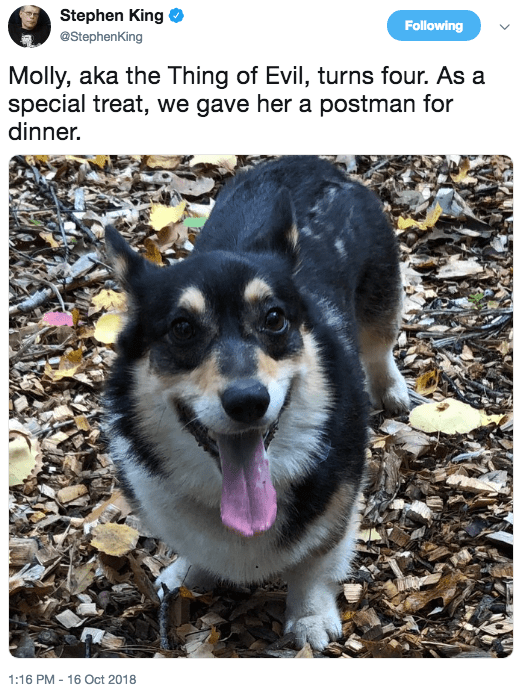 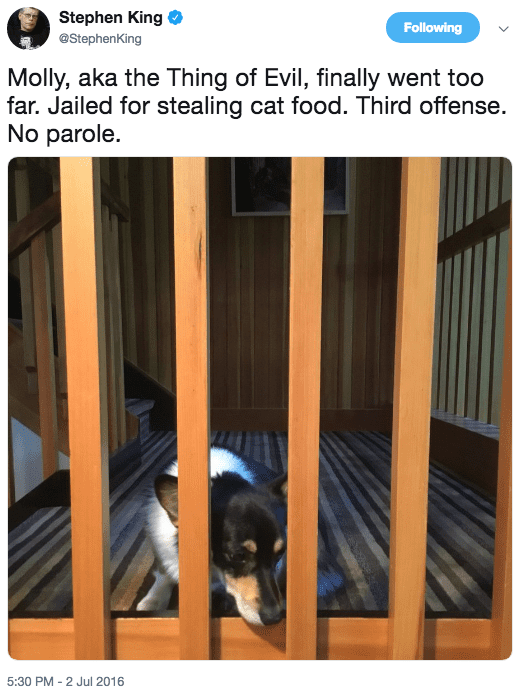 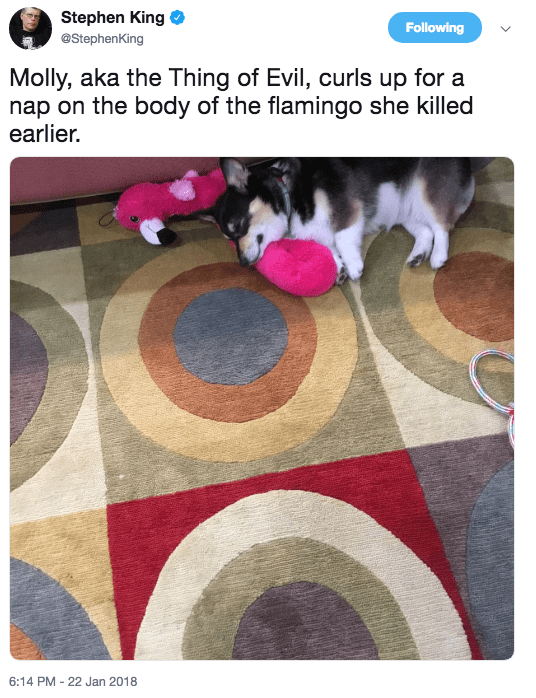 He’s dubbed his dog “The Thing of Evil” and recounts her adventures (and misadventures) on Twitter. 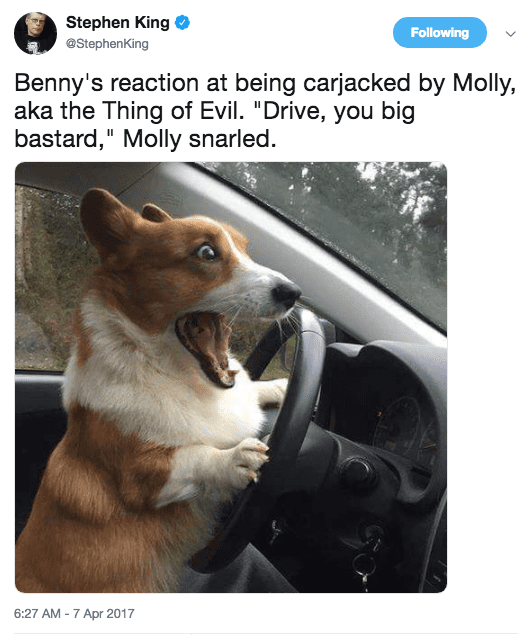 Here are 15 of his most entertaining tweets about the evil that actually haunts his life.